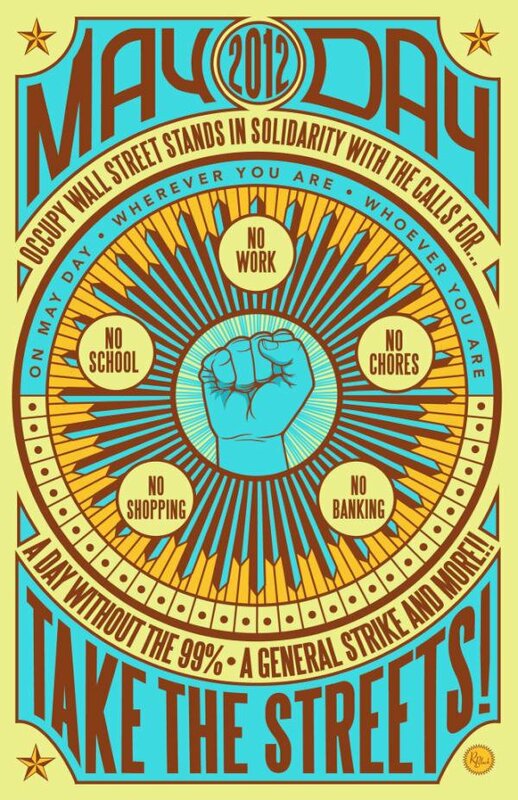 Tune in to CKUT today, May 1st, as we celebrate Mayday, International Workers Day, and a day marked around the world as a celebration of social struggles for dignity and liberation. Tune in at 90.3 FM in Montreal, or online at www.ckut.ca everywhere else! Guests include Marie-Eve Lamy (Anti-Capitalist Convergence, CLAC), and Guillaume from Greve Sociale. Interview with late radical historian Howard Zinn on the anarchist roots of Mayday. We’ll also be featuring a labour poetry special for our litterary report with Jeffrey Mackie, and Dragon Root Radio will be bringing us an interview with feminist labour activist Giuliana Fumagalli. All that plus plenty of revolutionary music! Host Vince Tinguely brings you a 2 hour musical retrospective on the revolutionary events of 1968! A collage of sound bytes and music of the era. Everything from Mai ’68 Paris to the massacre of students in Mexico City to the Black Power Salute at the Olympics to Tet to MLK and Bobby shot to Trudeau (elected PM) and Levesque (founding the Parti Quebecois) to Mao’s cultural revolution to the Biafran war for independence. This entry was posted in CKUT programming on May 1, 2012 by admin.